The NBA has distinct stars in every era of it’s history, none moreso, than Dennis Rodman, a.k.a. “The Worm”. With his skills on the court and his absurd antics off, not to mention the plethora of hair colors, tattoos and piercings, Rodman has definitely made a name for himself. Whether he was on the court for a number of NBA teams, or switching things up after a suspension from the NBA and trying his hand at professional wrestling, he was always bringing his trademark style to the court, or mat. What better person to put on the big screen? Fox has purchased the comedy pitch ‘Diplomats’ inspired by Rodman’s “Hoops Diplomacy” mission to North Korea as a directing option for ‘Ride Along‘ director, Tim Story. Peter Chernin, producer of the hit-comedy, ‘The Heat‘ is producing through his Fox-based Chernin Entertainment and Jonathan Abrams is writing the script. 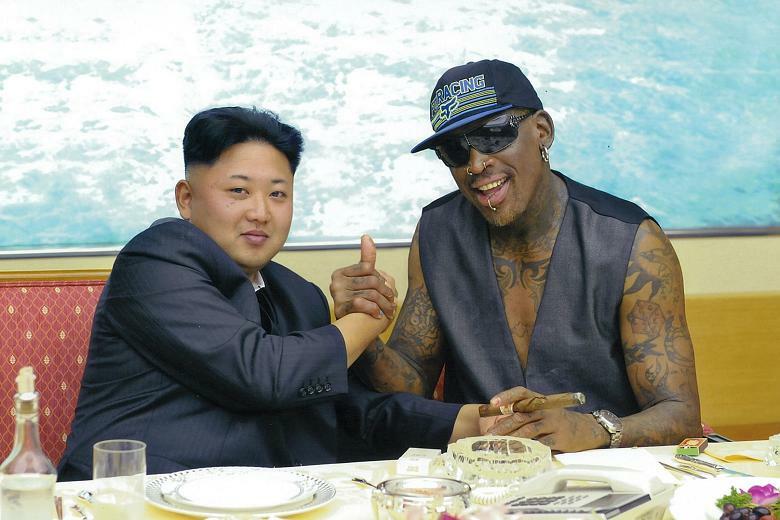 Rodman kicked up controversy last February by visiting North Korea and befriending the country’s dictator, Kim Jong Un. He has tried to become a go-between for Kim Jong Un and President Obama and has pleaded to the dictator, via Twitter, for the release of an American prisoner, Kenneth Bae, that had been sentenced to 15 years hard labor in North Korea. 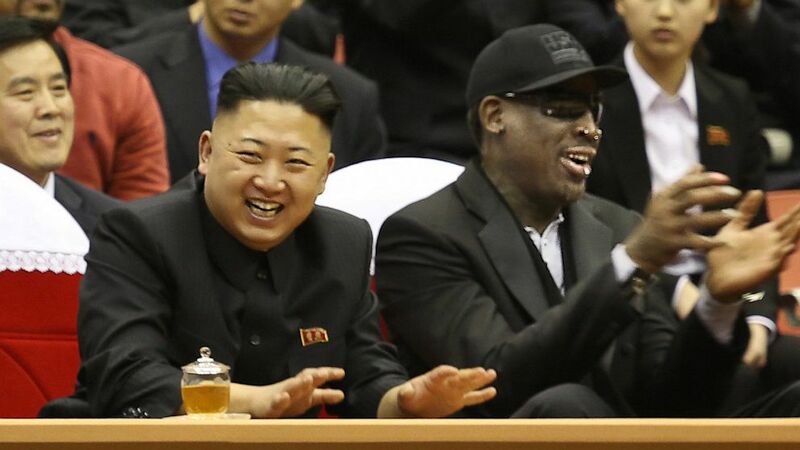 Rodman has traveled to and from North Korea over the year cementing a friendship and even singing “Happy Birthday’ at one point to the autocrat.He has organized a basketball team from the US to go to North Korea and has even helped train a North Korean team. Besides ‘Diplomats‘, North Korea and their leader has given another comedy, ‘The Interview‘ it’s background.’The Interview’ is being worked up by Seth Rogen and Evan Goldberg for Sony. This entry was posted on Wednesday, February 26th, 2014 at 9:34 am	and is filed under Film, News. You can follow any responses to this entry through the RSS 2.0 feed. You can skip to the end and leave a response. Pinging is currently not allowed. « Presenters for 2014’s Academy Awards Have Been Released! !